Aloha beaches, this bride's getting married! 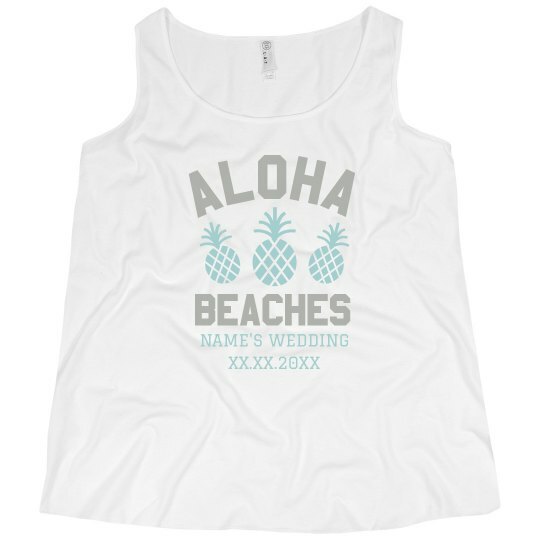 Customize this trendy tank top for all of your favorite ladies to wear at your bachelorette bash. Add your own custom text - like your wedding date!